You are here: Home / Link Building / Why Do You Need SEO, SEM, and SMM For Your Business? After reading this article you will understand why do you need SEO, SEM, and SMM for your business. This post is written for those people who have limited knowledge on SEO, SEM or SMM. Let’s assume you have a business that you want to grow in every possible way. From someone you have heard about search engine optimization (SEO) and you have basic knowledge on SEO. But you are not sure about how it is going to help your business. You also heard about SEM (Search Engine Marketing), PPC (Pay Per Click) or SMM (Social Media Marketing e.g. Facebook or LinkedIn advertising) but you don’t have any idea about how they work. So let’s talk about these terms in depth. 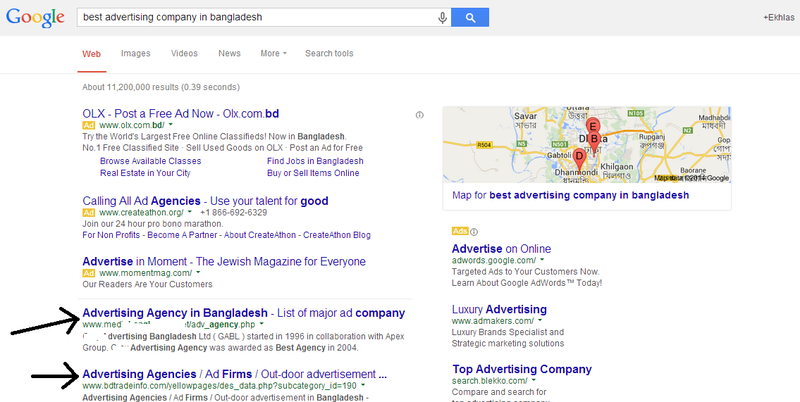 Suppose you set up an advertising company in Bangladesh and you want to grow this business. As this is a new company, let’s assume you are not getting expected amount of work orders from organizations. So how does SEO help to grow this business? Does your business show up in arrow space(s)? As you have never done any SEO for your business so it’s not going to appear within top 3 positions. 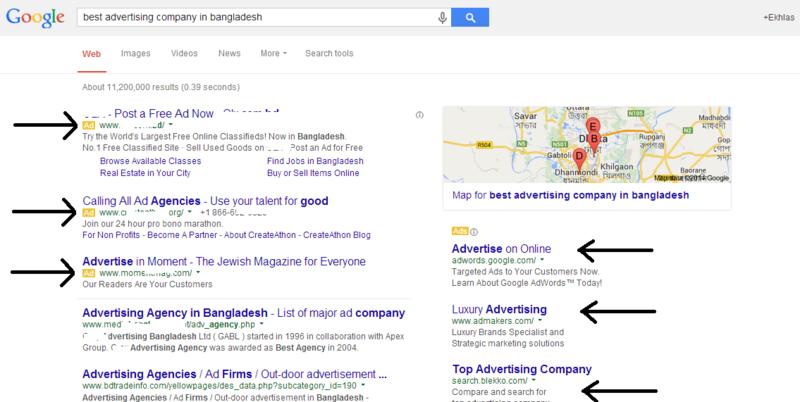 Your competitors are already on these places as they are continually doing SEO and making sure that whoever searching with “best advertising company in Bangladesh” or “advertising firm in Bangladesh”, they see their webpage information. Don’t you think it’s a great way to grab users attention? Here is a very crucial factor, almost 100% internet users use search engines like Google or Yahoo to find a product or solution. At this stage, search engines like Google, Yahoo and Bing are influencing up to 88% of business purchase decisions. Moreover, users don’t scroll beyond PAGE ONE to find their product or solution! So if your business is in 10th page, no one is going to visit your website or buy your product or service. Now as you understand the importance of SEO, let me talk about how Search Engine Marketing (SEM) can grow your business even bigger. Did you see any differences? Please check the arrows (where they are pointing in these two images?). Now you see the differences! 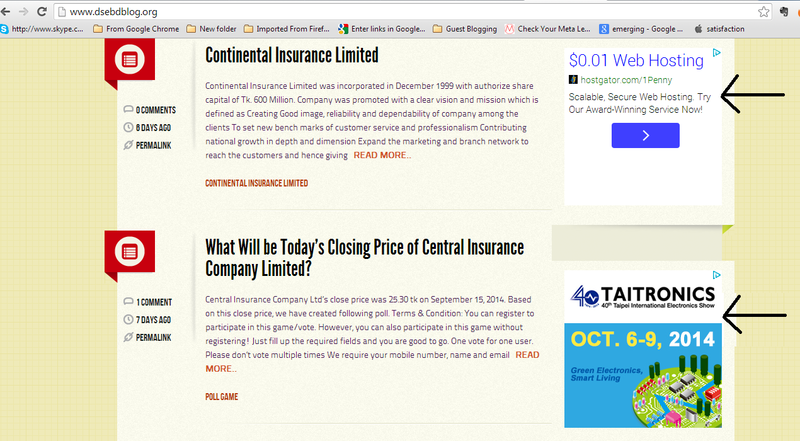 Image 2 is known as Search Engine Marketing (SEM). SEM ads show at the top, right or sometimes at the bottom position. These ads will be labeled by yellow color “Ads”. With SEO, you might need to wait 3-4 months to see the results (whether your targeted keywords appear at the first page or not). However, with SEM, you don’t have to wait for 3-4 months to rank your targeted keywords on the first page of Google! It is because you are actually paying Google to show your ads to your targeted viewers! Remember, your competitors are also paying for their ads. So your Ad will fight against theirs and will appear right at the top position if quality score and bid price are higher than your competitors. Let’s not worry about quality score and bid price for now. We are here to help you on these things. Hopefully you now understand the basic differences between SEO and SEM. Good!!! Display Ad is vital if you want to create a brand for your business. Your Ad will be showed to thousands to millions of people in a day based on your budget. 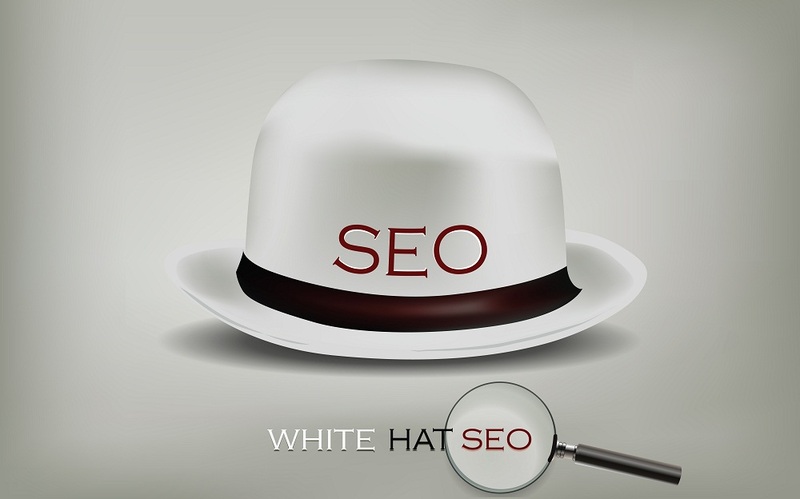 At this stage, you might be thinking how your business will perform if you run both SEO & SEM? Trust me you will get more visibility, more engaged customers, and more businesses. Large companies usually use all these platforms for marketing purposes. That’s the reason they are so successful! In SEM, you are paying to Google or Bing for your ads but in SMM you are paying to Facebook or LinkedIn. I think you should start SEO, SEM and SMM campaigns for your business ASAP. World is moving quickly and your competitors are already dominating your targeted market. Absolute tracking is mandatory for your business. In traditional marketing e.g. Newspaper or Radio Marketing, you can’t estimate how many people actually see or listen your advertisement. But with SEO, SEM or SMM advanced tools you will get the exact information that you are looking for e.g. how many visitors/clicks your website receive, how many impressions your Ad received, how many leads/conversions/signup/call you get, and how much you spend, all these things are available to you. So what are you waiting for? Please check our SEO, SEM, SMM packages and contact us with your requirements and details. We are waiting for you.